Playing games with my brother taught me that connections can be made with another person through virtual reality. Things like cooperation, shared problem-solving, and communication in gaming can strengthen relationships. Most importantly, gaming taught me that no matter the differences between me and another person, we can find common ground through play. Skill Gaming – Mind Sharpening or Time Wasting? Trend watchers suggest that its growth is four times the speed of growth in internet use itself. If this trend continues unabated they'll be more people playing skill games. Ironically, there is research showing that video game performance is positively correlated with intelligence test scores (e.g., Angeles Quiroga et al., 2015; Foroughi, Serraino, Parasuraman, & Boehm-Davis, 2016). Games are the only entertainment medium right now that aren't showing any sign of an expiration date. Most people don't pay for music and movies anymore, and most social media sites go in and out of popularity. Games, however, have never lost popularity, there's always going to be another kid turning 10 that'll want a play-station for Christmas. Therefore, it is games that are the best method for education or to highlight political issues. In Chile, the Rosas et al. study (2003) evaluated the effects of introducingeducational video games into the classroom and found indications ofpositive effects on learning, motivation and classroom dynamics. see: pokemon, digimon, beyblade, any other early 00's or late 90's 'mon. Lady Middleton proposed a rubber of casino to the others. "A set of games (usually three or five), the last of which is played to decide between the opponents when each has won an equal number; (hence) the winning of more than half the individual games by one side. Also in early use: †the final decisive game (obs.)" (OED). 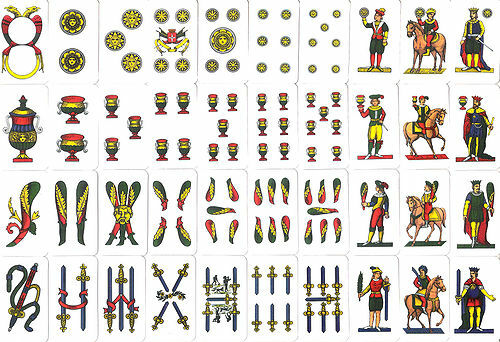 "Casino first appears in the card game literature at the end of the eighteenth century in London, and shortly afterwards in Germany" ... "The aim in Casino is to capture cards from a layout of face up cards on the table. A card is captured by playing a matching card from hand. It is also possible to capture several cards at once if their values add up to the value of the card played" (John McLeod, Casino, page 1). Video Game History Foundation is racing to preserve ephemeral gaming material and the physical documentation of video games. Would love to go to a museum like this! James Lovelock's Gaia Hypothesis originated slightly before 1967, but he was working for NASA's Jet Propulsion Laboratory, so in many ways, he already was working off a mental image of the Earth seen from the outside. Sidenote, but I first encountered the Gaia Hypothesis because the game SimEarth (which is built around modeling and playing with the concept) had a whole essay about it bundled in the game. I was way too young to really grasp the game without blatantly cheating (which feels like a worrying allegory), but I really remember the essay, along with SimCity's hidden essays on urban design and the character of cities. I'm trying to think if any video game since the Sim series has had a similar connection to an academic discipline. But she argues that, when it comes to machine design, it’s not exactly about giving people what they do or do not want. What matters, Schüll says, is ‘the accentuating, accelerating and elaborating that happens between the wanting and the giving’. One of the moments for me as an individual is realising that maybe the most interesting thing about games is not the “games” part; it’s the way that they allow an excuse for setting up and respecting these arbitrary limitations, and working with them. this is great! Can you see and reply to this? Maybe worth purchasing for summer practice. @sorcha on twitter https://twitter.com/_sorcha/status/654787074273316864 writes: "I'm not convinced by your dismissal of 'window dressing' when the mimetic experience of historical games is such a big draw"
He invites peers to play his game with him. Only four years old, Twitch already has 100 million viewers who consume 20 billion minutes of gaming every month. According to one 2014 study, Twitch is the fourth-­most-­visited site on the Internet during peak traffic periods, after Netflix, Google and Apple and above Facebook and Amazon. (Amazon bought Twitch in 2014 for about $1 billion, all of it cash.) And there is money in it for the gamers themselves, called ‘‘streamers’’: Fans can subscribe to channels for extra access, or they can send donations of any amount. Streamers with modest followings can make respectable incomes — hundreds or thousands of dollars a month — and the very top streamers are getting rich. As adults have increasingly thwarted self-initiated play and games, we have lost important markers of the stages in a child’s development. In the absence of such markers, it is difficult to determine what is appropriate and not appropriate for children. We run the risk of pushing them into certain activities before they are ready, or stunting the development of important intellectual, social, or emotional skills. For example, it is only after the age of six or seven that children will spontaneously participate in games with rules, because it is only at that age that they are fully able to understand and follow rules. Interestingly, the investors’ expectations about the back-transfer from the trustee did not differ between the oxytocin and placebo recipients. Oxytocin increased the participants’ willingness to trust others, but it did not make them more optimistic about another person’s trustworthiness. The Trust Game; however, there was no difference in groups when the trustee was a computer, showing oxytocin affects social connections but not risk-behavior itself. Conventional economic theory maintains that people will always behave in a purely self-interested manner. According to this worldview, it makes no sense to trust, whether in a trust game or in real life, as any trust will be exploited. The trustee will always keep her entire windfall for herself, so the investor would be better off not transferring any money in the first place. And yet when researchers like Joyce Berg and others have had people play the trust game with real monetary stakes, they have repeatedly found that the average investor will transfer half of her initial endowment and receive similar amounts in return. Through the trust game, researchers have also discovered a number of factors that seem to drive levels of trust. Familiarity breeds trust—players tend to trust each other more with each new game. So does introducing punishments for untrustworthy behavior, or even just reminding players of their obligations to each other. But in a digital world, how do we connect ourselves and our children to what were once oral traditions? Hollywood has accomplished some of these tasks. The recent screen version of J.R.R. Tolkien’s The Lord of the Rings brought us a classic story that is based on the epic tradition. Yet how many of us have stopped and talked with our children about the deeper meanings of this tale? As the sophistication of video gaming grows, can the power of this entertainment form be used to educate children about the pitfalls of following a herd mentality? Could these games help children develop their own internal compass in morally ambiguous situations? Or perhaps even help them think about their own ability to act heroically? And as we plow ahead in the digital era, how can the fundamental teachings of a code of honor remain relevant to human interactions? BushmanandAnderson and others have marshalled a lot of evidence looking at the experimental effectsof playing violent video games, and not only does it tend to increase aggression (althoughthat finding is a little bit controversial right now), but just as importantly, kind ofsaturatingyourself in these violent images and these violent games what it definitely does is itreducesyour cooperative, kind tendencies. So be wary of, or be mindful of, these violent,saturatedplaces of our culture. There’s neuroscientifc studies thatshow that when people play games together and earn an award, there’s a greateractivation of their dopamine reward circuitry than when they earn that same awardon their own. Your party’s inventory doesn’t even have a button assigned to it — it’s accessed by flipping your device to portrait mode, a clever trick that I expect other games to rip off before long. This was bugging the crap out of me. If this was mentioned in any tutorial or guide in the game I totally missed it. It is, however, a pretty good mechanism.